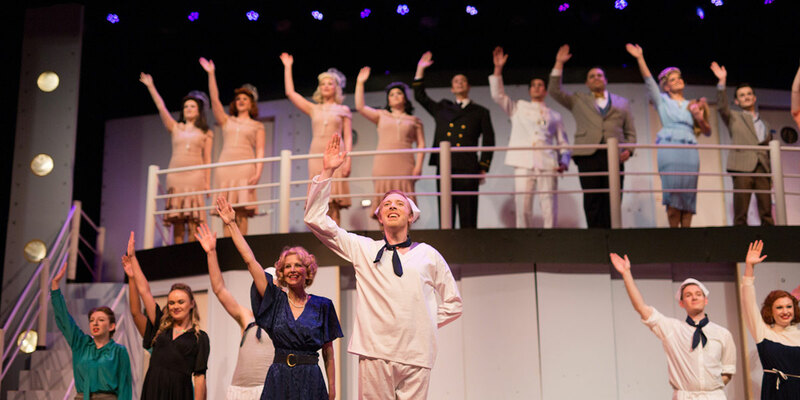 With loads of dancing and music, the age-old tale of boy meets girl is brought to life in “Anything Goes,” a story of crazy antics happening aboard an ocean liner bound from New York to London in 1934 in one of Cole Porter’s most beloved musicals. The performances will run from Thursday, March 21, through Sunday, March 24, on the stage of the Pillsbury Chapel & Dale Williams Fine Arts Center at MBU’s main campus. The musical begins at 7:30 p.m. Thursday through Saturday, with a 2 p.m. matinee performance on Sunday. There is also a free reception with light refreshments for faculty, staff and alumni at 6:30 p.m. on Friday, March 22, preceding the performance that night. Click on this link to register for the reception. Contact MBUTheatre@mobap.edu for online discount codes.